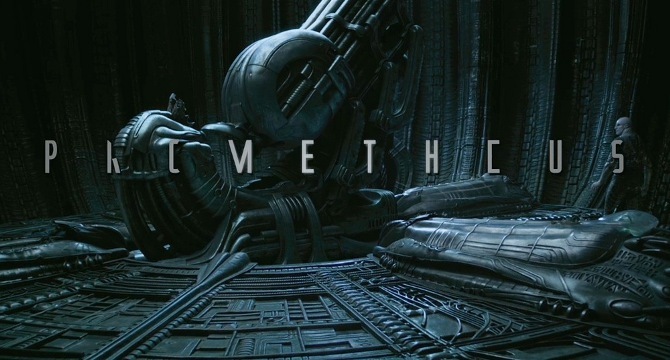 Prometheus is a behemoth of a film with equally as large hype and expectations surrounding it. As a supposed loose prequel to Alien, it certainly had big shoes to fill. The claustrophobic horror of the chest-bursting, phallus-obsessed, feminist original is sadly much lacking in its predecessor. In spite of rather optimistic reviews, it has a baffling, overblown plot and a frequently cringe-worthy screenplay; the kind where the characters say, 'You'll die if you take off your helmet!' and other 'look here, gasp now!' dialogue in place of a discernible story. I think it pained all of my friends to admit it - we were so looking forward to it, and were almost speechless when we left the dark of the cinema. The blatantly creationist Christian undertones (if you could even call them that, such was the emphasis put upon them) were bizarrely placed in a supposed Alien prequel - an original film predicated on rationality and Godlessness. As far as interestingly portrayed characters, Michael Fassbender as android David may be the only one - but even then, he isn't given very much to do. He stands around, stiffly handsome and sinister, and that's about the most I can say. His position by the end of the film is clearly ridiculous, but the film is utterly po-faced about it. Scott clearly wants us to take Prometheus as seriously as we take Alien, but apparently fails to realise its inherent silliness, and even worse, fails to realise why it is we take Alien seriously in the first place. It's a crying shame, and an absolute mess of a film, one that seems five minutes in the making rather than 30 years. The impressive CGI set pieces were undermined by other details: rubbery humanoid aliens, poor characterisation, and banal 'surprise' sub-plots. Science-fiction, at its best, satirises and holds a mirror to our modern world - is socially and politically relevant. Alien certainly met this criteria, and Prometheus does anything but. It doesn't tell us anything new or relevant; it arguably struggles even to tell a good, coherent story. What a let down.